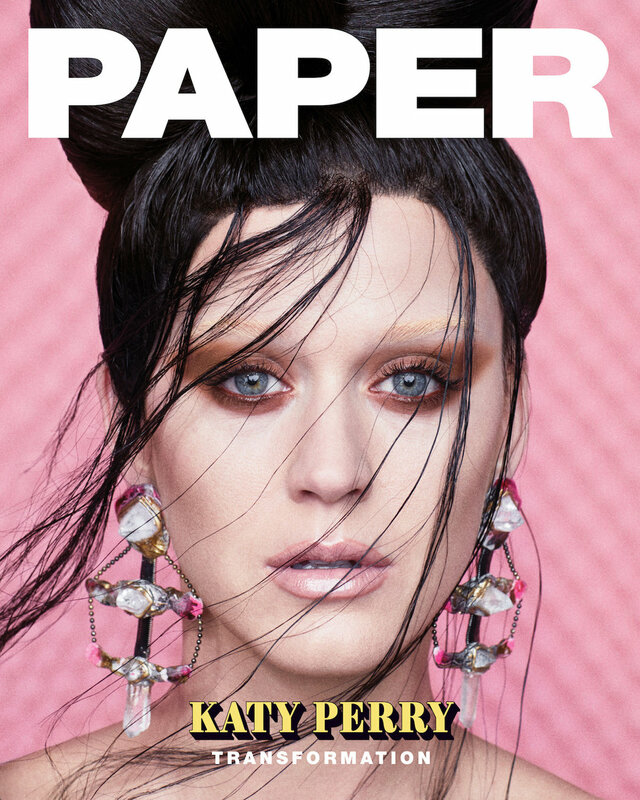 Superstar songstress Katy Perry is the cover star of Paper Magazine's Transformation Issue and is literally unrecognizable for the shoot. The 37 year old photographed in studio shots by fashion photographer Juno Calypso with the styling works of Patti Wilson. 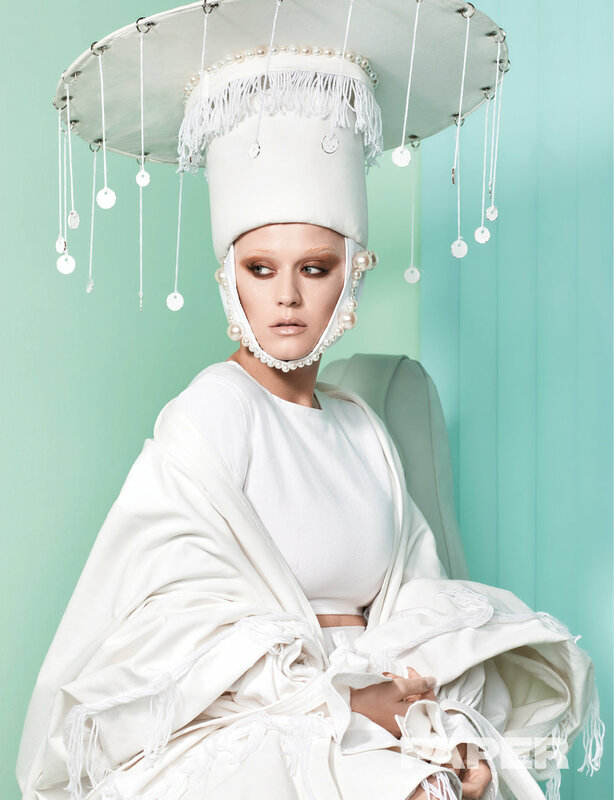 The American icon wears designs from high-end brands including Vera Wang, Valentino, Sid Neigum and others, and for the cover shows off statement earrings by Adina Mills. For the interview taken by Marie Lodi, Katy talks about being raised in a strict religious household and being curious always. Katy, who is currently dating and living with A-list actor Orlando Bloom, also talks about taking it easy these days and even considers returning back to the student life. The songstress, who is known for her flamboyant style and eccentric music, says that she is quite OCD regarding arranging and cleanliness and she feels its stems from the instabilities from her childhood. The star has now 'made it'. Money was tight growing up, but now Katy has a glam room in her house, complete with a hair washing station. "Changing my hair definitely was the biggest physical transformation I have experienced as a woman. When you don't have long hair, you really can't hide behind it. Everything is exposed," says Perry. The star, who is these days going for a much parred down look, says that she is just enjoying her 30s these days and is working on her mental health.